Rev. Dr. Ngeo, Boon Lin is Chinese Malaysian. He was an award-winning journalist and is the author of more than 40 books. He holds a BA degree in sociology from university of Wisconsin, a MA degree in sociology from Minnesota State University, a Master of Theological Studies from Episcopal Divinity School, and a doctoral degree in theology from Boston University. 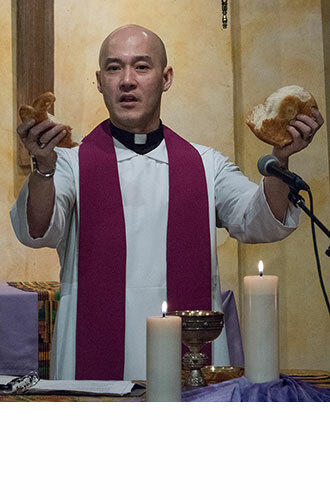 He is currently an adjunct assistant professor at City University of New York - Hunter College in its Women, Gender and Sexuality Studies department and a staff pastor of MCC New York, and the first openly gay minister in his native country Malaysia, and the first openly gay minister who holds a doctoral degree in theology in Asia. His activisim in Asia has been reported by CNN and the New York Times. He also has been named as one of the most inspiring LGBT religious leaders in the world by Huffington Post in 2011. Joseph N. Goh is a Lecturer in Gender Studies at the School of Arts and Social Sciences, Monash University Malaysia. He holds a PhD in gender, sexuality and theology, and his research interests include queer and LGBTI studies, human rights and sexual health issues, diverse theological and religious studies, and qualitative research. 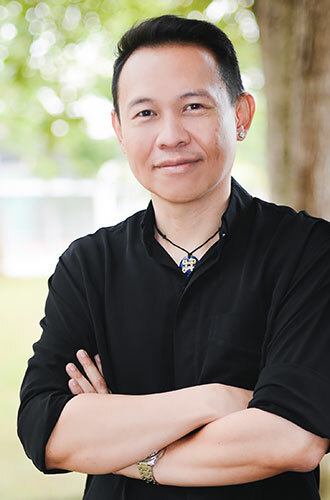 Goh is the author of Living Out Sexuality and Faith: Body Admissions of Malaysian Gay and Bisexual Men (Routledge, 2018), and co-editor of Queering Migrations Towards, From, and Beyond Asia (Palgrave Macmillan, 2014) with Hugo Córdova Quero and Michael Sepidoza Campos. His personal website is at http://josephgoh.org. Rev. Joe Pang was born in Malayisa, now living in Hong Kong. He had setup the first LGBT affirming church in Malaysia - Good Samaritan Kuala Lumpur (GSKL). Now he is serving in Hong Kong as a pastor in Blessed Ministry Community Church (BMCC) and as church advisory to GSKL. He is actively working in Asia to promote spiritual wellness in Church and preaching the good news to LGBT community.